Techniques that find conjunctive implication rules of the form “ and implies and ” (associations) that satisfy given criteria. The conventional association algorithms are sound and complete methods for finding all associations that satisfy criteria for minimum support (at least a specified fraction of the instances must satisfy both sides of the rule) and minimum confidence (at least a specified fraction of instances satisfying the left hand side, or antecedent, must satisfy the right hand side, or consequent). A feature is the specification of an attribute and its value. For example, color is an attribute. “Color is blue” is a feature of an example. Many transformations to the attribute set leave the feature set unchanged (for example, regrouping attribute values or transforming multi-valued attributes to binary attributes). Some authors use feature as a synonym for attribute (e.g., in feature-subset selection). Process related to categorization, the process in which ideas and objects are recognized, differentiated, and understood. The proportion of a data set for which a classifier makes a prediction. 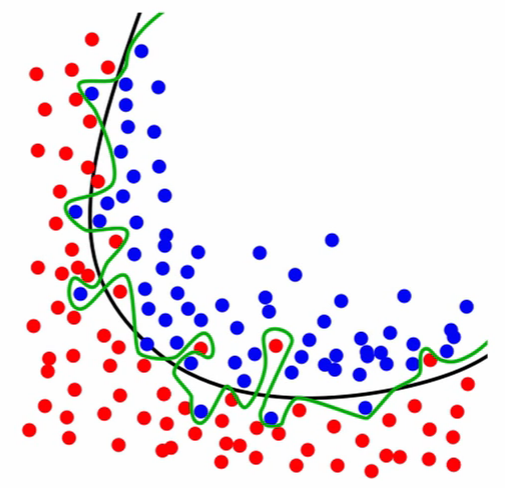 If a classifier does not classify all the instances, it may be important to know its performance on the set of cases for which it is “confident” enough to make a prediction. A measurement of the cost to the performance task (and/or benefit) of making a prediction Y’ when the actual label is y. The use of accuracy to evaluate a model assumes uniform costs of errors and uniform benefits of correct classifications. A method for estimating the accuracy (or error) of an inducer by dividing the data into k mutually exclusive subsets (the “folds”) of approximately equal size. The inducer is trained and tested times. Each time it is trained on the data set minus a fold and tested on that fold. The accuracy estimate is the average accuracy for the k folds. In a statistical-classification problem with two classes, a decision boundary or decision surface is a hypersurface that partitions the underlying vector space into two sets, one for each class. The classifier will classify all the points on one side of the decision boundary as belonging to one class and all those on the other side as belonging to the other class. A decision boundary is the region of a problem space in which the output label of a classifier is ambiguous. Class of models used in machine learning for modeling the dependence of unobserved (target) variables on observed variables . Within a probabilistic framework, this is done by modeling the conditional probability distribution , which can be used for predicting from . Discriminative models, as opposed to generative models, do not allow one to generate samples from the joint distribution of observed and target variables. However, for tasks such as classification and regression that do not require the joint distribution, discriminative models can yield superior performance (in part because they have fewer variables to compute). On the other hand, generative models are typically more flexible than discriminative models in expressing dependencies in complex learning tasks. In addition, most discriminative models are inherently supervised and cannot easily support unsupervised learning. Application-specific details ultimately dictate the suitability of selecting a discriminative versus generative model. Classifiers computed without using a probability model are also referred to loosely as “discriminative”. The non-trivial process of identifying valid, novel, potentially useful, and ultimately understandable patterns in data. This is the definition used in “Advances in Knowledge Discovery and Data Mining”, 1996, by Fayyad, Piatetsky-Shapiro, and Smyth. Procedure that creates classifiers. Finds patterns in training data. In Knowledge Discovery, machine learning is most commonly used to mean the application of induction algorithms, which is one step in the knowledge discovery process. This is similar to the definition of empirical learning or inductive learning in Readings in Machine Learning by Shavlik and Dietterich. Note that in their definition, training examples are “externally supplied”, whereas here they are assumed to be supplied by a previous stage of the knowledge discovery process. Machine Learning is the field of scientific study that concentrates on induction algorithms and on other algorithms that can be said to “learn”. The value for an attribute is not known or does not exist. There are several possible reasons for a value to be missing, such as: it was not measured; there was an instrument malfunction; the attribute does not apply, or the attribute’s value cannot be known. Some algorithms have problems dealing with missing values. One row in features and labels table. For example Iris dataset has 150 observations. Data that is not in Observation. In most cases that would be the data to predict. Models that overfit learns to recognize noise from the signal, than the data. Is the module used to do some cleaning/scaling of data prior to machine learning. Is a form of supervised machine learning, which is where the scientist teaches the machine by showing it features and then showing it was the correct answer is, over and over, to teach the machine. Once the machine is taught, the scientist will usually “test” the machine on some unseen data, where the scientist still knows what the correct answer is, but the machine doesn’t. The machine’s answers are compared to the known answers, and the machine’s accuracy can be measured. If the accuracy is high enough, the scientist may consider actually employing the algorithm in the real world. A description of a data set’s attributes and their properties.